2018 Eciggity Gift Guide- Find the perfect gift for every vaper! The MOJO Disposable Pod Device is draw activated and pre-filled with 1.2ml (approximately 270 puffs) of 50mg salt-based E-Liquid. Salt-based nicotine absorbs into the bloodstream at a faster rate than free-base nicotine. 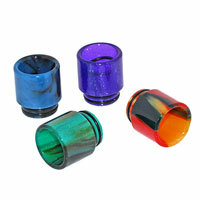 The faster absorption rate causes the user to experience a rush more quickly with similar satisfaction to a cigarette. 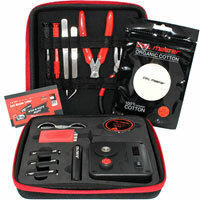 The MOJO flavors are outstandingly smooth, flavorful and provides satisfying throat hits. These individual MOJO Pods come fully charged and should be properly disposed of after its life cycle. 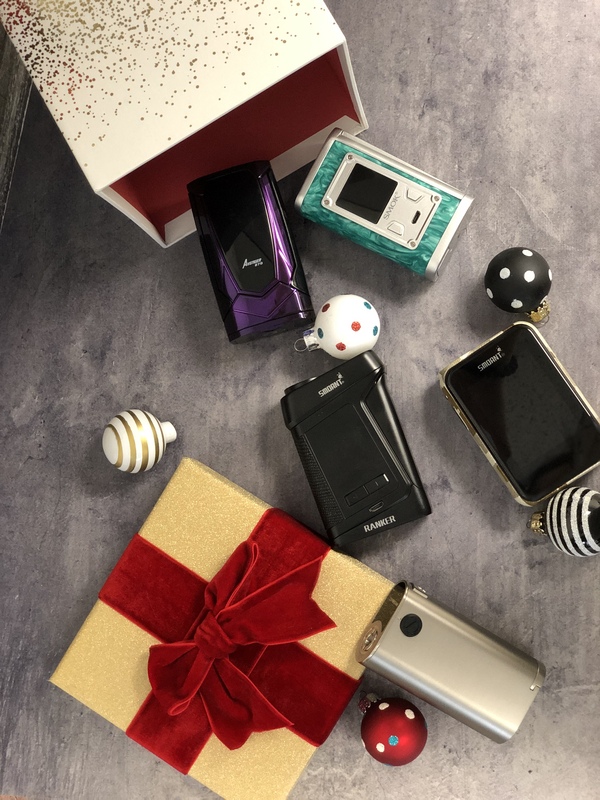 The SMOK Infinix Kit is an ultra-portable, buttonless pod system with a cylindrical design that is powered by a 250mAh built-in battery and utilizes 2ml refillable pods that magnetically attach to the battery. The SMOK Infinix battery is direct voltage output based and outputs 10W-16W of power (depending on the current battery level) for a satisfying draw activated mouth to lung vape. In addition, the Infinix features an LED battery level indicator on the face of the device that illuminates while charging and during use. The SMOK Novo Starter Kit is an all-in-one ultra-portable pod system with a modernized and ergonomically shaped design. Featuring a micro USB rechargeable 450mAh built-in battery, the SMOK Novo operates with direct voltage-based output and outputs a maximum of 16W. The SMOK Novo utilizes 2ml refillable pods and features draw activated firing for an enjoyable vape experience with your favorite Nicotine Salt E-Liquid. In addition, Novo features an LED battery life indicator on the face of the device to check the current battery level with a quick glance. The Golisi S2 Smart Charger is a simple and high quality charger that will give your batteries a quick charge with all the safety features. The smooth sliding spring-loaded plates are made of military grade stainless steel with a life cycle of over 100K uses to ensure durability. In addition, the Golisi S2 Smart Charger features a crystalline LCD display that clearly shows all the essential information during the charging process. The Digiflavor UPEN MTL Vape Kit is a premium and stylish all-in-one mouth to lung styled vaping device with a built-in 650mAh battery. 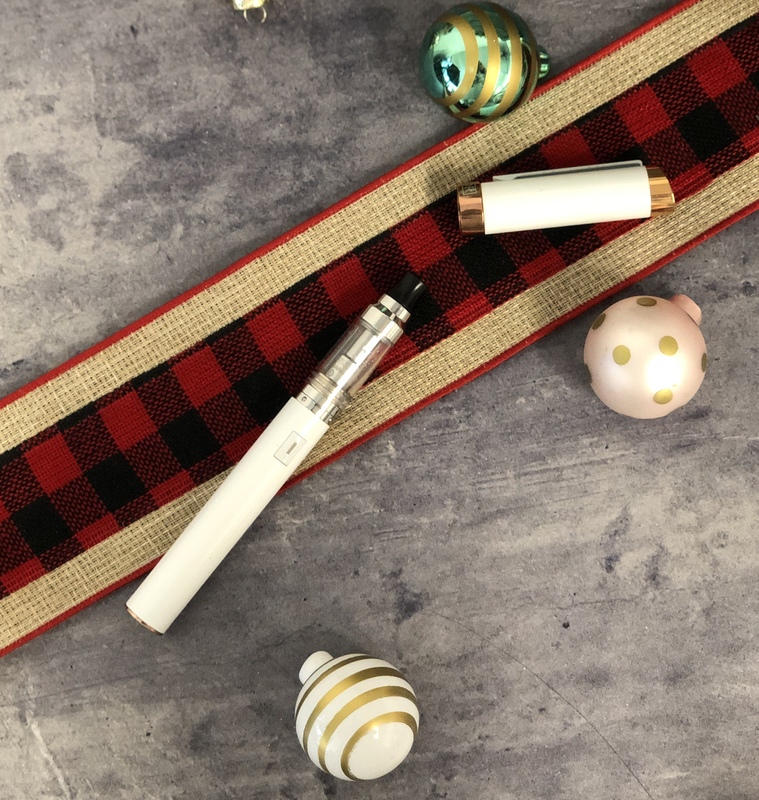 Featuring a compact, pen-shaped design, the Digiflavor UPEN is ultra-portable and is the perfect vaping device to use whether you’re making the switch from analogs or a veteran vaper. The UPEN features a top fill design with a refillable 1.5ml E-Liquid capacity and utilizes Ni80 1.2Ω nano vertical coils which provides the perfect MTL vaping experience with outstanding flavor. In addition, the UPEN features pass-through functionality to ensure your nicotine cravings are always satisfied no matter how low the battery gets. The UWELL 15ml JuiceBank is made of high quality Stainless Steel and quartz glass for durability and to preserve the original flavor of your E-Liquid. The JuiceBank has a 15ml E-Liquid capacity with a hydraulic pump design that dispenses approximately 0.1ml of E-Liquid per pump. 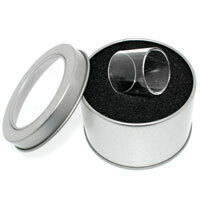 Strong magnets are used to secure the cap in place while preventing leaks. 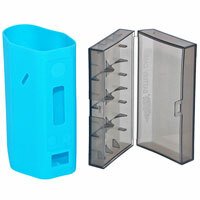 In addition, the JuiceBank features visible windows on both sides to quickly check E-Liquid levels at a glance. The EHPRO Armor Prime Mod is a semi unregulated mechanical mod with full Brass construction. Powered by a single high amp 18650 or 20700 battery (sold separately), the Armor Prime Mod looks and functions like a mechanical mod while providing multiple on-board safety protections. In addition, the Armor Prime Mod features an LED battery life indicator adjacent to the firing button to show the current battery level at a glance. The Vandy Vape Kylin V2 RTA measures 24mm in diameter and utilizes a sliding top fill design to refill its 3ml or 5ml E-Liquid capacity. The Kylin V2 RTA features a cambered postless deck design to accommodate single and dual coil configurations with a reduced chamber for concentrated flavor. 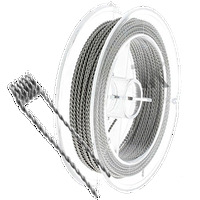 With the included coil lead guide, users will find it extremely useful to cut coil leads to their perfect lengths for easy coil installations. In addition, the Kylin V2 RTA features dual adjustable bottom airflow control with beveled airflow intake holes for a smooth and satisfying draw. The Vaporesso Renova Zero Kit is a pocket-friendly pod system designed for vapers on the go and features a micro USB rechargeable 650mAh built-in battery. Constructed of durable Zinc Alloy, the Vaporesso Renova Zero combines three preset wattage outputs, a high performance CCELL coil structure, and an intuitive one button design making the Renova Zero one of the most user-friendly and capable pod systems. In addition, the Renova Zero features draw activated firing and a refillable 2ml pod with a hassle-free press to fill mechanism that significantly reduces leakage. The Sense Screen Sub Ohm Tank measures 25mm in diameter and delivers unrivaled flavor and vapor production with the new Sense Screen coils. The Screen coils have a mesh coil structure and are made with wood pulp and Japanese organic cotton for clean flavor and efficient wicking. Featuring a 4.5ml or 7ml E-Liquid capacity with the preinstalled bubble glass tank, the Screen Sub Ohm Tank's fill port can be accessed by simply sliding the top cap. In addition, the Screen Sub Ohm Tank features triple adjustable bottom airflow control to accommodate the high performance Screen coils. The Golisi S4 Smart Charger is a simple and high quality charger that will give your batteries a quick charge with all the safety features. The smooth sliding spring-loaded plates are made of military grade stainless steel with a life cycle of over 100K uses to ensure durability. In addition, the Golisi S4 Smart Charger features a crystalline LCD display that clearly shows all the essential information during the charging process. The FreeMax Mesh Pro Sub Ohm Tank is the updated version of the Fireluke Mesh Sub Ohm Tank and measures 25mm in diameter. Featuring a large 6ml E-Liquid capacity with a patented sliding top fill design, the Mesh Pro utilizes a new mesh coil structure with a wide surface area for unrivaled flavor and vapor production. The mesh coils feature large wicking slots to ensure the wick is fully saturated before each draw. 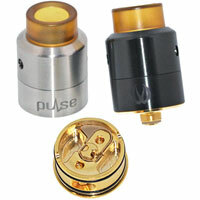 In addition, the Mesh Pro Sub Ohm Tank has dual adjustable bottom airflow control to fine-tune your perfect draw. The Noisy Cricket II-25 by Wismec is the updated version of the original Noisy Cricket with new and improved features. Featuring an interchangeable circuit between Series or Parallel and a multi-circuit protection system, the Noisy Cricket II-25 is multi-functional with more safety features. In addition, two interchangeable modes can be used when the device is configured as a Series circuit which include direct output and constant voltage output. The EHPRO Mod 101 is powered by a single high amp 18350 or 18650 battery and features a slim and ergonomic tube styled design. The EHPRO Mod 101 features temperature control functionality with a maximum power output of 50W. With its one button design, the EHPRO Mod 101 is user-friendly and features a 0.49 inch OLED display with an intuitive menu layout. 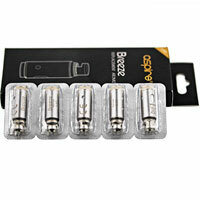 The Aspire Spryte Kit is an all-in-one pod system that features a sleek and minimalistic design. 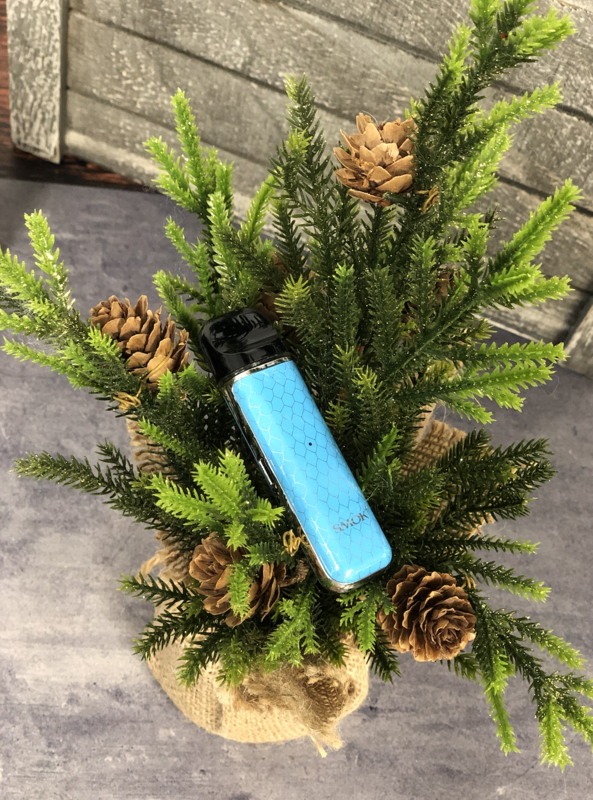 The Aspire Spryte features a micro USB rechargeable 650mAh built-in battery with a 3.5ml E-Liquid capacity that can be quickly refilled by removing the bottom silicone fill plug. Adjacent to the fill plug is where the coil is installed which also has adjustable airflow control. 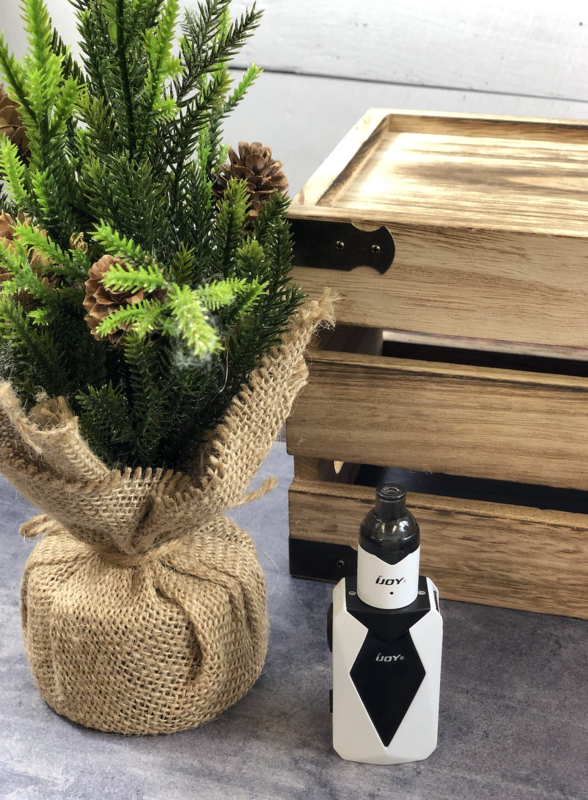 The Aspire Spryte Kit includes a NiChrome 1.8Ω BVC coil for free-base nicotine E-Liquids and a Nichrome 1.2Ω BVC coil for salt-based nicotine E-Liquids. The Augvape Intake RTA was collaboratively designed by Youtube Reviewer Mikevapes and displays a stunning exterior design. 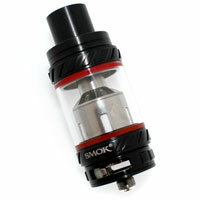 The Intake RTA measures 24mm in diameter and features a leak proof dual adjustable top-down bottom airflow design. Airflow enters the Intake RTA through the top airflow slots, travels down the intake tubes and comes up directly under the entire length of the coil for a truly flavorful vape. The Intake RTA features a user-friendly two post deck designed for single coil configurations and open post terminals for simple coil installations. A preinstalled 4.2ml bubble glass tank and an extra 2.5ml glass tank are included with the Intake RTA which can be effortlessly top filled much like the Geek Vape Zeus RTA. The Geek Vape Creed RTA measures 25mm in diameter and is constructed of superior Stainless Steel and Silica glass for durability. Featuring a threaded top fill design, the Creed RTA comes preinstalled with a large 6.5ml bubble glass tank and an extra 4.5ml glass tank. The Creed RTA features a user-friendly two post deck designed for single and dual coil configurations with three interchangeable airflow chambers for versatility. Users can choose between the three airflow chambers for direct bottom airflow or direct bottom airflow with auxiliary side airflow. The Arctic Dolphin Anita 100W BF Box Mod is constructed of lightweight ABS and is powered by a single high amp 18650, 20700, or 21700 battery. Featuring full temperature control functionality and up to 100W of maximum power, the Anita BF Box Mod integrates multiple on-board safety protections making it a highly capable squonk mod. The 7ml silicone squonk bottle and battery are encased behind two magnetic battery panels that fit seamlessly onto the device. The Eleaf iStick Pico S 100W Mod is meticulously designed to have a visually appealing chassis and features a bare battery tube with a corroded texture design and colored RGB LED stripes. Powered by a single high amp 18650 or 21700 battery, the Eleaf iStick Pico S has a maximum power output of 100W with full temperature control and pass-through functionality. Eleaf’s iStick Pico S integrates their latest chipset which provides the iStick Pico S with an instantaneous 0.025 second firing response time. The Pulse BF Squonk Kit by Vandy Vape and Youtube Reviewer Tony B. combines the bestselling Pulse BF Box Mod and the Pulse 24 BF RDA Special Edition into one bundle for a beautifully matching new look with the same great performance! Constructed of lightweight Nylon and ABS, the Pulse BF Box Mod features a compact and ergonomic design. The 8ml food grade silicone squonk bottle and battery are encased behind two magnetic frosted battery panels for accessibility and can be interchanged with different colored battery panels to personalize your device. 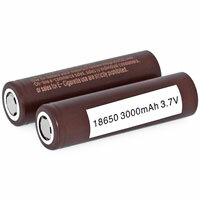 By utilizing the included 18650 battery adaptor, users can choose to use either a single 18650 or 20700 battery to power the device. The Vandy Vape Simple EX Kit is currently the smallest squonk kit available and features a rechargeable 850mAh built-in battery with pass-through charging capability. Vandy Vape’s Simple EX Kit features voltage output ranging from 3.3V to 4.5V with 0.3V increment adjustability. The Simple EX Squonk Mod houses a 4ml squonk bottle inside its compact chassis and is perfectly paired with the Vandy Vape Simple EX RDA. 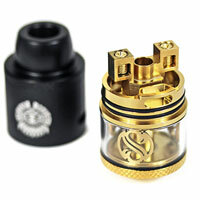 The Simple EX RDA measures 21mm in diameter and features a two post deck designed for single coil configurations. Featuring a deep juice well for squonking purposes the Simple EX RDA has 6 adjustable airflow hole settings to fine-tune your perfect mouth-to-lung vaping experience. The iJoy Genie PD270 234W TC Box Mod is powered by dual 20700 batteries (included) and utilizes a chipset from IWEPAL which supports full temperature control functionality and up to 234W of power. The iJoy Genie PD270 features a curved and ergonomic design intended to fit comfortably in the user’s hand during use and has customizable RGB backlight cutouts along both sides of the faceplate for a unique and eye-catching look. In addition, the magnetic battery door features an LED flashlight which is controlled by a separate button on the battery door. Please Note: The iJoy Genie PD270 234W TC Box Mod includes 2x iJoy 20700 40A 3000mAh Batteries. The REV GTS 230W TC Box Mod integrates a Venom v1.1 chipset that provides accurate and powerful performance with up-to-date firmware upgradability and user-interface customizability. 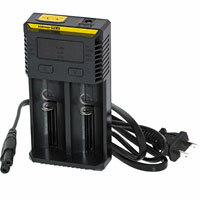 Powered by two high amp 18650 batteries (sold separately), the REV GTS features a maximum power output of 230W with full temperature control and preheat functionality. Featuring an ergonomically contoured chassis, the REV GTS has beveled edges to fit comfortably in the hand. In addition, the REV GTS integrates a large, colored speedometer styled screen that vibrantly displays essential user data with a vertically oriented 4 button design. The Geek Vape Aegis Mini 80W Mod is an extremely durable device that is designed to be water-proof, dust-proof, and shock resistant. Powered by a 2200mAh built-in battery with pass-through charging, the Aegis Mini 80W Mod integrates the latest AS-80 chipset with a maximum power output of 80W and full temperature control functionality. The Aegis Mini 80W Mod is a fantastic choice for those who are looking for a compact, durable, and highly capable device. SMOK introduces the Majesty 225W TC Box Mod which is presented with either a beautiful carbon fiber or vibrant and colorful resin finish. The SMOK Majesty is powered by two high amp 18650 batteries and has a maximum power output of 225W with full temperature control functionality. With the integration of SMOK’s newest chipset, the Majesty features an improved and richer user-interface with a large, colorful OLED screen that clearly displays essential information. iJOY is changing the concept of what the future of vaping looks like with the new Avenger 270 234W Box Mod. The Avenger mod integrates the latest technological advancements and introduces the first “AI” vaping device with voice control functionality! With its newly introduced voice control feature, the Avenger is capable of 12 different voice control functions such as wattage adjustments, device locking, and adjusting RGB LED lights with just the sound of your voice. In addition, the RGB LED lights and voice control feature can be deactivated by simply disabling them in the settings menu. The Smoant Ranker 218W Box Mod is a high performance device with versatility and comfort that utilizes Smoant’s latest Ant218 V2 Chipset. Constructed of durable Zinc Alloy and high quality leather, the Smoant Ranker features a 95% working efficiency and an instantaneous 0.015 second firing response time. The Smoant Ranker is powered by two high amp 18650 batteries (sold separately) and has a maximum power output of 218W with full temperature control functionality. In addition, the Ranker integrates a vibrant 1.35 inch colored TFT screen with two different user-interface display options and a customizable wallpaper setting to personalize your device. The Athena Squonk Kit by Geek Vape includes a fully mechanical Athena Squonk Mod and an Athena Bottom Feeding RDA to complete the kit. Constructed of Stainless Steel and Aluminum, the Athena Squonk Mod is compact, lightweight, and powerful. It features dual magnetic battery panels which allow users to conveniently replace the battery and refill the 6.5ml soft silicone or PE squonk bottle. In addition, the faceplate of the Athena Squonk Mod features a locking switch to ensure user safety while the device is not in use. The Joyetech ESPION Mod is powered by two high amp 18650 batteries (sold separately) and has a maximum power output of 200W with full temperature control and preheat functionality. The Joyetech ESPION features a minimalistic chassis design and integrates a vibrant 1.45 inch colored TFT screen that clearly displays essential parameters with its intuitive user-interface. In addition, the ESPION features a torx screw secured 510 connection for long-term durability. The iJoy Diamond VPC Kit bundles the ultra-portable Diamond VPC Mod and Diamond VPC Unipod for the perfect and versatile salt-based nicotine vaping experi ence. Powered by a long-lasting 1400mAh built-in battery, the Diamond VPC Mod has a maximum power output of 45W and is compatible with a variety of pods with preset power outputs by utilizing the included adaptor. The Diamond VPC Unipod features a refillable 2ml E-Liquid capacity with a silicone plugged side filling design. In addition, the Unipod features a 1.0Ω ceramic coil structure for clean flavor and efficient wicking. Aspire proudly introduces the Aspire Feedlink Revvo Kit, an all-new Aspire squonk mod with a slightly redesigned Revvo Boost Tank. The Aspire Revvo Boost Tank retains all the same great features as the original Revvo Tank, but now with squonk mod compatibility. Powered by a single high amp 18650 battery, the Aspire Feedlink is a semi unregulated mechanical mod that operates in bypass mode with multiple on-board safety protections. The Feedlink features a slim, contoured design with texturized gripping, making it extremely ergonomic. The iJoy Diamond PD270 234W Box Mod features an appealing chassis and tactile firing button design which was inspired by the multi-faceted diamond cutting technology. Powered by two high amp 18650 or 20700 batteries, the iJoy Diamond utilizes an IWEPAL chipset which provides a maximum power output of 234W with full temperature control functionality. The iJoy Diamond features a large OLED screen that clearly displays essential data and has a built-in 2A micro USB quick charge. In addition, users can expect an instantaneous firing response time with the integration of iJoy’s IWEPAL chipset.